This lineup in particular has me doing backflips! So much great juice coming out already. Beautiful and soft aromas with great balance of acid and softness in the mouth. Come rock through this wine tasting soon! Many of our labels are ultra limited in production! 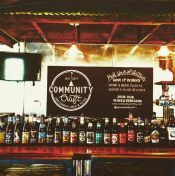 We offer daily wine tastings at Community Craft. Community Craft, Blog at WordPress.com.